Hear What The CEO & Co-Founder Has To Say! wipit is a unique mobile payments service with an executive team that has a deep knowledge of the prepaid space. The CEO and Co-Founder of wipit, Richard Kang, was kind enough to field some questions in the following interview. Richard is a seasoned wireless executive with an equity partnership at VHA (a leader in prepaid wireless product distribution), Eureka Revenue Inc., and held positions at AT&T Wireless. Thank you for your time Richard! What is wipit? How does it work? [Kang] wipit is a single-click mobile payments service that allows users to pay for in-app purchases using cash or a credit card. Users create a free account online (mywipit.com) or via the wipit Wallet app (currently available on the Android Market), then fund their account with prepaid cash by visiting one of over 10,000+ authorized retailer locations or by linking an existing credit card. They can then authorize payments in merchant apps that accept wipit as a payment method. It’s quick, safe and easy – the way mobile payments should be. Can you describe the inspiration behind starting wipit, and any background about the name? [Kang] The idea for wipit originated from our founding team’s deep expertise in the prepaid wireless industry. We were focused on two key ideas: that smartphones are revolutionizing the way people interact with the Internet, and secondly, that mobile e-commerce represents the next stage of commerce evolution. The light bulb came on when I realized that cash consumers have no convenient and safe way to participate in mobile commerce. There are plenty of mobile payment solutions servicing the credit card carrying consumer, but none that truly meet the unique needs of the cash-preferred consumer. The name “wipit” is inspired by an actual dog breed: the whippet. Whippets are one of the world’s fastest dogs, capable of incredible bursts of speed. Our mobile payments are lightning fast, a trait we wanted to communicate to users. wipit also represents the canine quality of the faithful companion – our service is always with you, ready to go wherever you want and ready to be used the moment it’s needed. How are you positioning wipit in the marketplace? Do you see PayPal as a competitive offering? [Kang] wipit’s focus on providing mobile payment convenience to the cash preferred consumer is unique in the industry. The result is a product that is easy to use and simple to understand, largely because it is based on the well known, and consumer accepted cash-load process used by millions of prepaid wireless consumers. Our goal is to make wipit the preferred mobile payment service of the cash-preferred consumer demographic, and by extension, the merchants who wish to serve this demographic. PayPal is a competitive offering in that they also offer a mobile payments solution, albeit one that is not specifically focused on the cash-preferred consumer. Does wipit build your own top-up locations, or are you rebranding existing financial/wireless top-up locations (ex. Green Dot)? [Kang] We have partnered with Euronet Worldwide (NASDAQ: EEFT), a leading global electronic payments provider to utilize their nationwide distribution network of 10,000+ retailers as convenient, authorized cash load locations for wipit users. wipit cash load locations will be branded with signage and door badges, and can be located from either our website (mywipit.com) or within the wipit Wallet mobile app. Because of our team’s expertise in the prepaid wireless distribution space, we have built relationships with many distribution companies. Our plans include future partnerships with additional reload networks. How does wipit differ from using a prepaid debit card? What fees are tied to reloading and maintaining a wipit account? [Kang] wipit is a different type of product from a prepaid debit card. Our service is designed specifically to authorize in-app payments for smaller purchases of physical or virtual goods, as opposed to larger purchases made over the web or at retail point of sale. In its current version, the wipit service is used only within a closed network. We don’t charge fees to create an account or use our services. There are no monthly maintenance fees or financial penalties for users who load prepaid cash but don’t use it right away. Users pay a small convenience fee directly to the cash load retailer when topping up wipit prepaid cash accounts. Wipit doesn’t make any profit from this convenience fee, which goes entirely to the reload retailer and distribution network. 6. How many active users do you currently have? 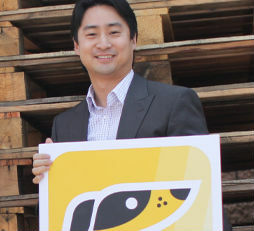 [Kang] We’re currently in beta testing, with plans to launch in the 4th quarter of 2011. A lot of people feel comfortable using credit cards online due to indemnification against fraudulent transactions. Does wipit offer similar protection? [Kang] Because we care deeply about our users’ mobile payment experience, we carefully vet our merchants to ensure that wipit users are interacting only with quality merchant apps that are focused on delivering high value product offerings and strong customer satisfaction. We’ve designed our platform to be incredibly secure and to protect our user’s personal and financial data, and we’ve put security features in place to help protect against fraud. At this time, we don’t offer indemnity protection. Are you working on marketing campaigns to build your brand in the mobile payments space, or are you working with retail partners to promote the service on their apps/sites? [Kang] The answer is yes to both. We’re currently working on wipit-specific marketing campaigns as well as marketing plans with partners to promote our service offerings. Without disclosing any confidential information, can you describe more about wipit’s “secret sauce” in terms of what makes it unique during the purchase experience? [Kang] Our “secret sauce” is a combination of technology innovation and prepaid market knowledge that allows us to create a single click mobile payment authorization process that’s been specifically designed for the cash-preferred consumer. We focus on transaction speed, security and convenience as the fundamentals of our unique mobile payment experience. Does your service utilize advertising as a means of generating revenue, or is your business model around a revenue share for reloads and/or the cash float? [Kang] Our revenue model is not built around any of these three things. Instead, our profits are generated from a small percentage of each merchant’s payment transaction volume. Is there anything innovative that users can look forward to seeing in the coming 12-18 months? [Kang] We’ve got big plans for improvements to our existing service as well as some exciting partnerships that will bring additional service offerings in early 2012. You can keep an eye on our latest product announcements by following us on social media: facebook.com/mywipit or twitter: @mywipit @wipitdev. Is there anything else you’d like prospective users or reload partners to know about wipit? [Kang] wipit allows cash-preferred consumers to more fully utilize and enjoy the smartphone experience by opening up the world of mobile e-commerce to them. The wipit prepaid cash account model is safe, easy to use, and most importantly, already familiar to millions of cash consumers who use prepaid wireless service. This demographic represents a significant source of potential revenue for merchants who are savvy enough to see the financial opportunity and leverage a mobile strategy to capture market share for their products and services. Visit the wipit homepage now!